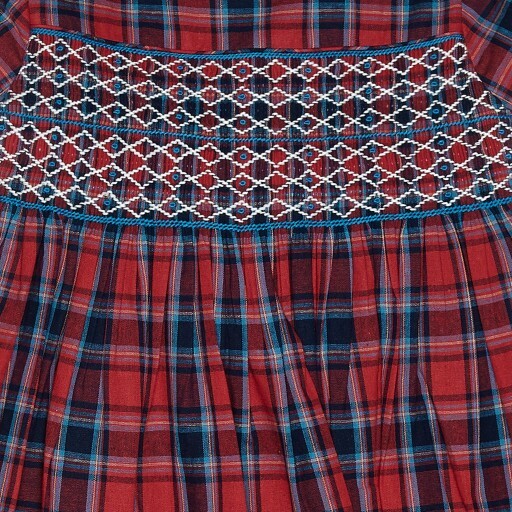 We love the sassy crimson tartan and the double bands of hand smocking across the bodice. 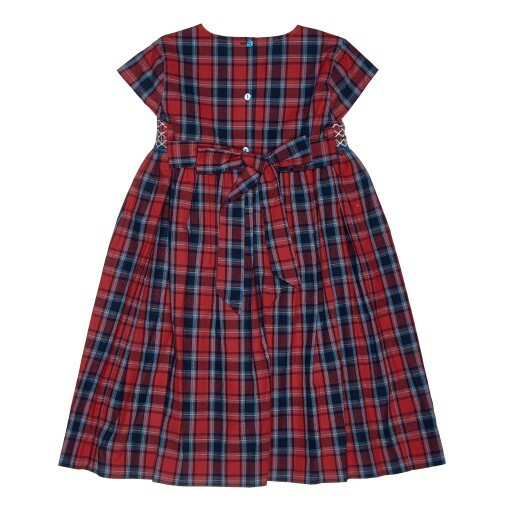 This dress has cap sleeves and a tie at the back which give it a lovely slightly flared silhouette. 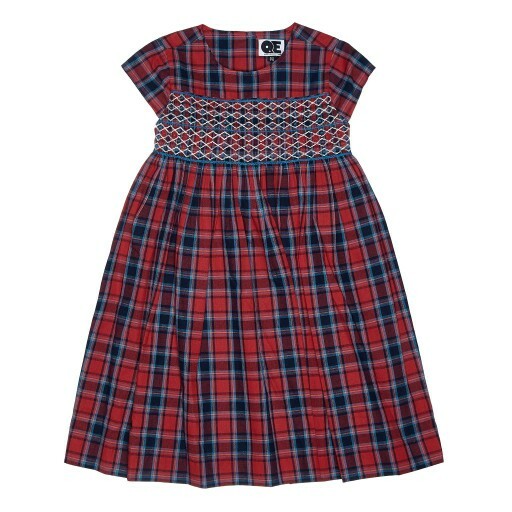 It’s perfect for special occasions and looks sweet with tights and ballet flats or give it a rock n’ roll edge by pairing it with boots and a jean jacket.